Avista Utilities recently relicensed many of the hydroelectric dams through a federal permitting process. Upper Falls Hydroelectric dam was one of those dams. During the hearing process, many organizations wanted Avista to increase the over the dam flow during the low-flow periods in the late summer and early fall. 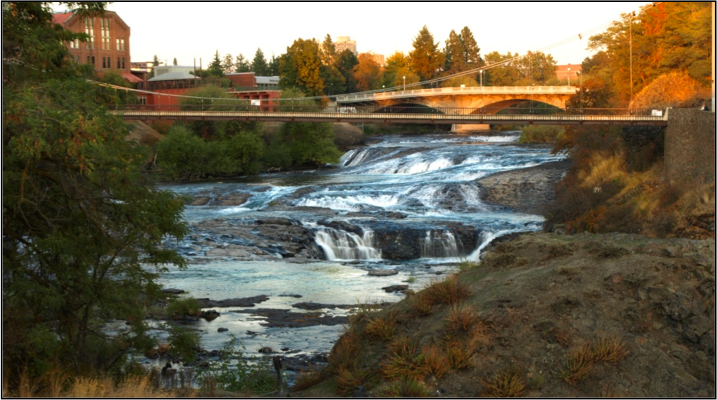 After further discussions, it was determined that the organizations wanted more water in the Spokane River because Riverfront Park is immediately downstream of the dam and the river is much less aesthetically pleasing when no water is flowing. In lieu of letting more water out of the dam during low flow periods, Avista investigated an alternative solution to the problem. Avista hired a professional services firm to determine if anchoring several concrete weirs to the bottom of the Spokane River would give the appearance of more water in the channel. The weir solution worked and Avista obtained approval for the weirs from the local organizations. 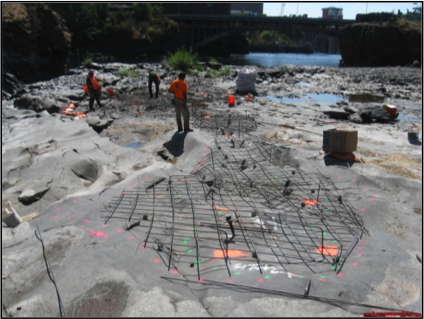 TD&H provided topographic surveying of the channel, geotechnical engineering, civil engineering, structural engineering, construction administration, and construction inspection for eight concrete weirs anchored in the Spokane River channel. The design provided a continuous, six-inch channel of water from the lower reaches of the project to the upper reaches for fish passage during low flow periods. The modeling was also used to determine the maximum amount of water flowing over each weir. This information was critical to determine the type of bedrock anchoring and composition of each weir.